High-resolution cameras and user-friendly software offer increased microscopic capabilities. 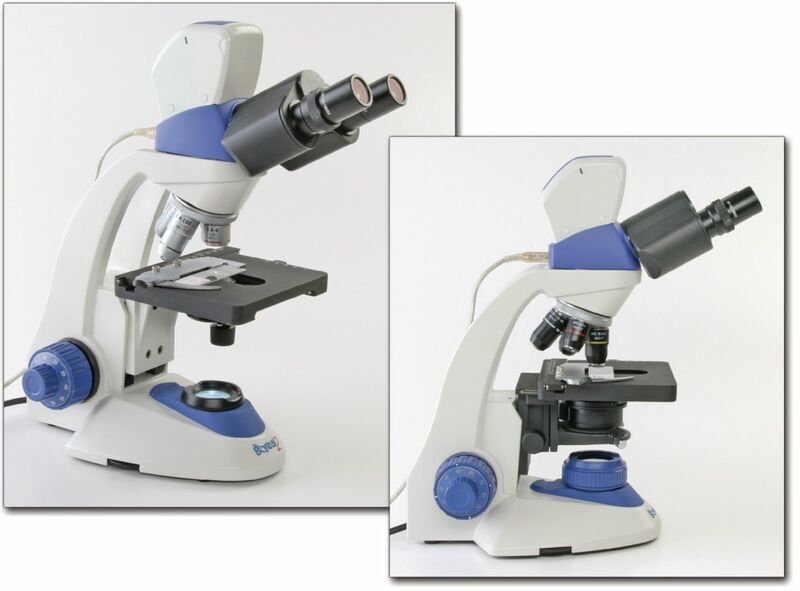 With a camera built into the traditional microscope chassis, these rugged Boreal2 digital microscopes offer high resolution. One power supply operates both the microscope and camera. The included user-friendly Motic image editing software lets you capture images in JPG, TIFF, MIG, and BMP formats and movies in AVI format. You can also program regular interval times to capture images, perform photo editing, record a video, measure objects, label structures, compare side-by-side or superimposed images, amalgamate images, and record audio. Digital microscopes connect to a computer via a USB 2.0 port. Each microscope comes with all connecting cables. Ordering information: This microscope includes a USB 2.0 camera output, Siedentop-style binocular head, paired 10x wide-field eyepieces with diopter adjustment in one, reversed revolving quad nosepiece with 4x, 10x, 40xR, and 100xR objectives, coaxial focus controls, built-in graduated and coaxial-controlled mechanical stage, a 1.25 N.A. Abbe condenser with iris diaphragm, and LED illumination. It also includes a manufacturer's warranty.